The web is woven tightly into our daily lives as consumers, patients, citizens, parents, and employees. 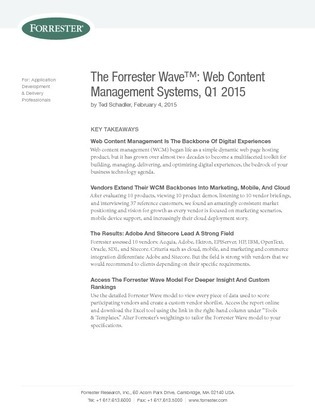 And every one of those websites is anchored by a web content management (WCM) system. But these systems deliver varying digital experiences.